“Facebook posts show Bell growing increasingly angry that Lawrence was dating his ex-girlfriend soon after he broke up, prosecutors said. 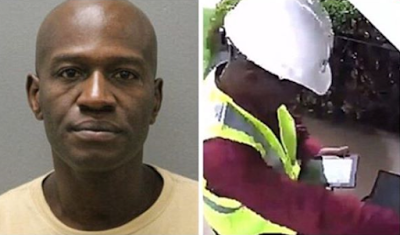 Bell was seen on surveillance footage arriving at Lawrence’s home on September 12, dressed as a meter reader. Days before, he was seen at a Home Depot buying a workman’s vest and helmet. 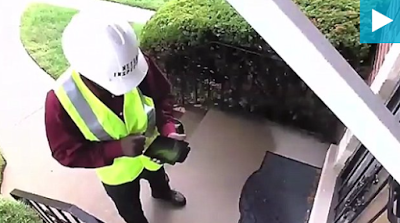 While wearing the vest and helmet that read ‘Meter Inspector’, he entered the home. Lawrence didn't know about Bell, but Bell knew him. With a bandage on one hand, Bell entered Lawrence’s vehicle, a 2004 Buick LeSabre, and used his credit card to buy fuel. Days later, Bell returned to the home with another man in tow and entered the residence carrying a gas can. When they went in, they disabled the security camera and lit the house on fire. Police were called just before 1am on September 14 in response to a fire in the home. As first responders were en route, the home exploded. Lawrence’s burned body was later discovered with a gunshot wound to the head. An autopsy determined Lawrence’s death was caused by the gunshot. His death was then determined to be a homicide. Bell’s DNA was found in Lawrence’s car and cell phone records placed him in the home.